For months, she's calmly torn strips off our banking elite as they squirmed under her relentless grilling during the royal commission. And now, Rowena Orr QC is fast becoming Australia's latest cult hero - and a rising social media star. Today, Ms Orr was particularly ruthless as she hit CBA chair Catherine Livingstone with question after question over CommBank's ongoing misconduct - at times scoffing at her response, and at others staring her down and demanding proper answers. Her interrogation was so tough Ms Livingstone often stumbled over her words and sounded clearly uncomfortable in the hot seat as she was asked about a range of questionable behaviour, including executive bonuses and pay and incomplete record-keeping. Ms Orr's performance has been both entertaining and awe-inspiring to watch - and it seems countless Aussies agree. Twitter has been flooded with posts praising the legal whiz-kid for her poise, her dogged line of questioning and her brutal smackdowns. She's become such a popular figure some have jokingly called for Hollywood star Tina Fey to portray her in a movie about her life, while others have called for her to take over the top jobs at our banks and government institutions. Others have variously described her as "brilliant", "impressive" and a fearless, "badass" "warrior woman". 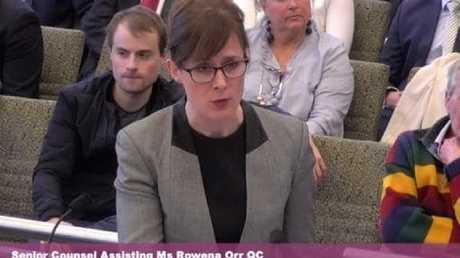 But who exactly is Rowena Orr - the woman so tough she's been given the nickname Rowena "Shock And Orr"? The Victorian silk was hand-picked by former High Court judge Kenneth Hayne along with fellow counsel assisting the commission Michael Hodge and junior barristers Albert Dinelli, Eloise Dias and Mark Costello to dig into misconduct within Australia's banking and financial services industries. 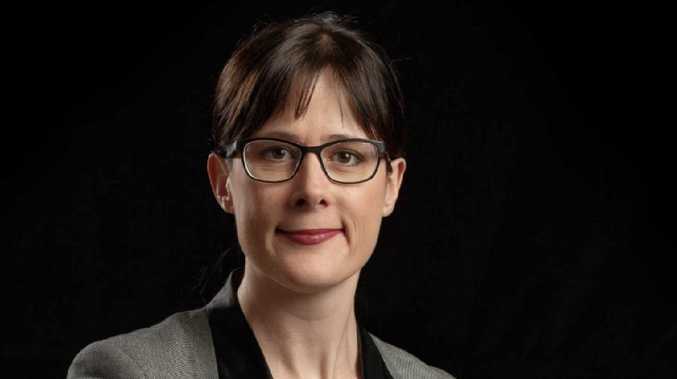 Ms Orr, who signed the bar roll in 2002 and was appointed silk in 2014, was previously the senior counsel for Victoria in the state's royal commission into family violence. She has long been recognised as one of the country's top legal minds and was educated at The University of Queensland and Cambridge in the UK, where she gained degrees in law and economics and a Masters of Philosophy in Criminology. 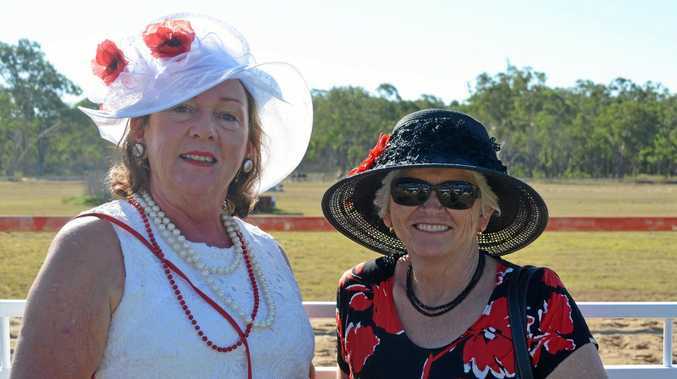 She has fronted the royal commission along with her colleagues since the first round of hearings began in March this year. It is now in its final fortnight of hearings, with findings to be delivered to the Governor-General by February 1, 2019. It means it will be our last chance to watch Ms Orr in action - for now. But it's not just members of the public singing her praises - a senior barrister told The Australian earlier this month that Ms Orr was "a reluctant rock star" who was "like a meteor crossing the sky". Fellow legal leaders also told the publication Ms Orr was destined for great things, with many claiming she would go on to become a judge on either the Victorian Supreme Court or Federal Court benches. At 45, Ms Orr is a refreshing change in an industry usually dominated by much older men. And in a society that is far more likely to celebrate shallow reality stars and Instagram models than successful, professional women in their 40s, Ms Orr's meteoric rise to fame is a breath of fresh air - and one sure to inspire a generation of young girls and women. The sooner we get that Tina Fey movie about her life story, the better.